March in Texas means Spring is upon us. Vibrant, green grass shoots and leaves sprout from what withered looking branches and bare ground, flooding the Hill Country in waves of bright color. My favorite color is the intense, bright green of a nascent bud or blade of grass. 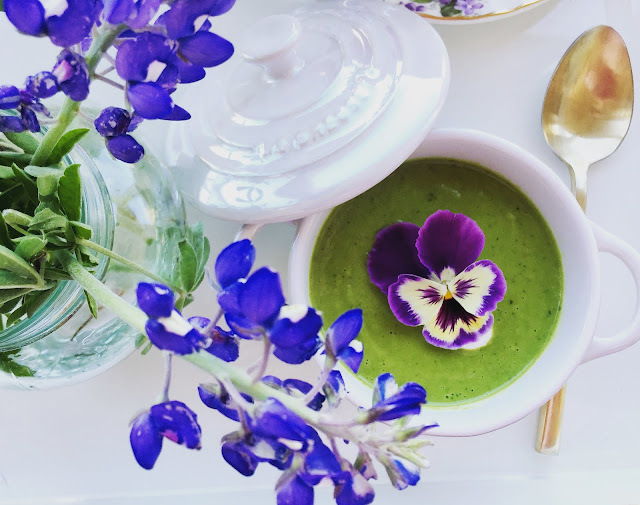 Today I'll share a recipe that perfectly captures this color and the essence of spring to come.